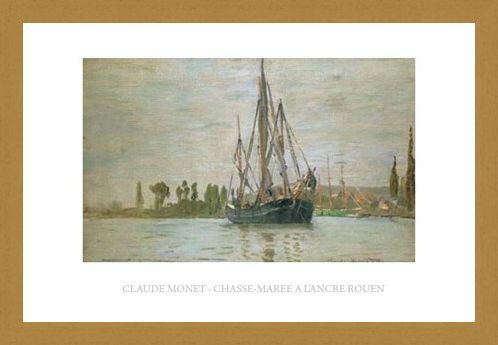 Art Print: Set sail into the world of classic impressionist art with this charming painting by the master of the movement, Claude Monet. 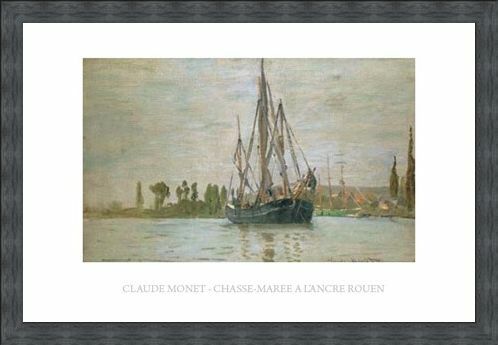 A chasse-marée is a type of decked commercial sailing vessel and this overcast sea scape shows the magnificent sailing boat as it moors by the harbour at Rouen on the River Seine. 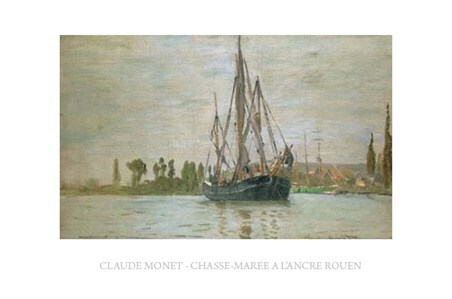 Although land is visible in the background, Monet's detail is mainly focused on the large fishing boat as its sails are lowered and it begins to still on the rippling waters. 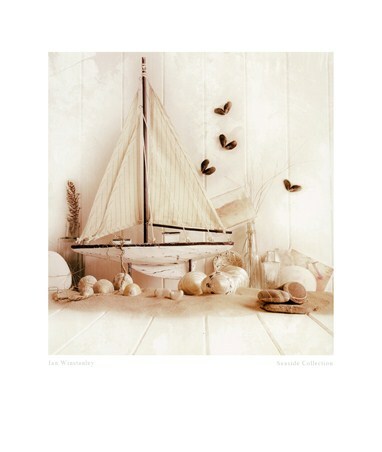 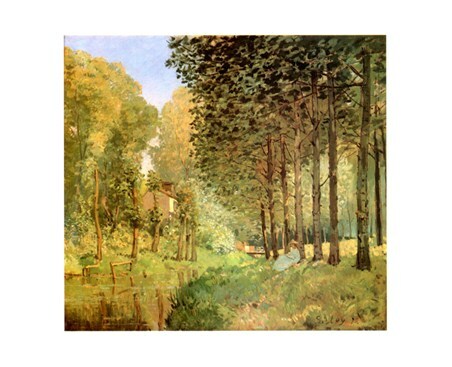 A charming print for lovers of both Monet's work and vintage transport. 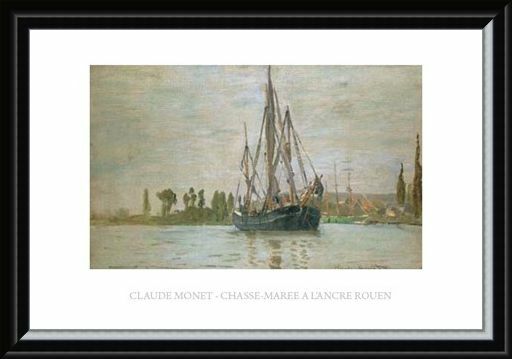 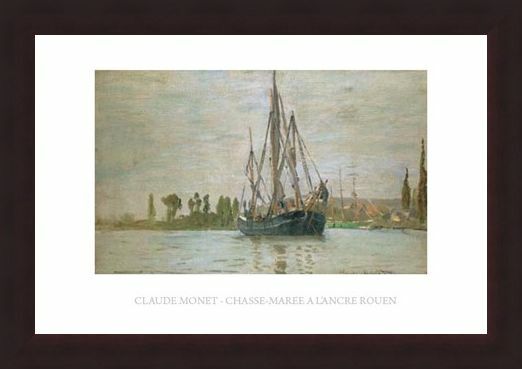 High quality, framed Chasse-Maree a L'ancre Rouen, Claude Monet print with a bespoke frame by our custom framing service.